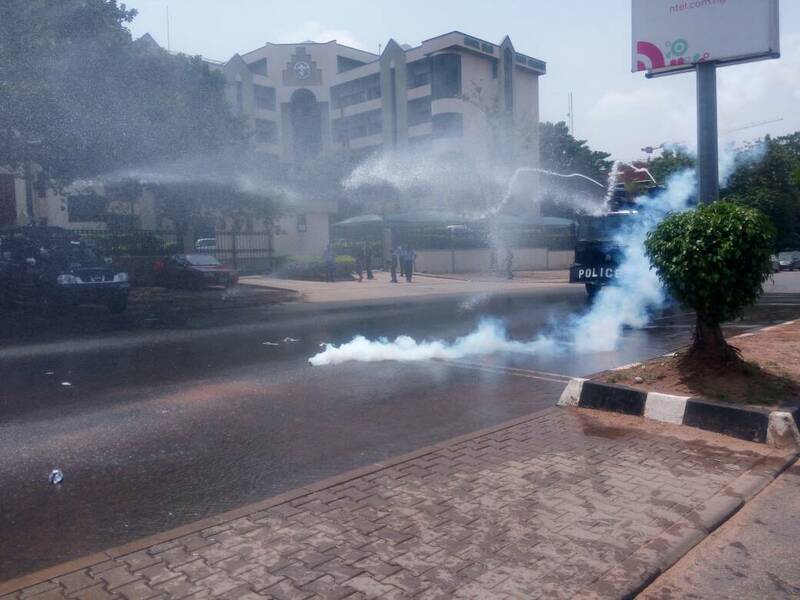 Police in Nigeria fired water cannon at protestors in Nigeria demonstrating against the continued detention of Sheikh Ibrahim el-Zakzaky and his wife in the capital Abuja. 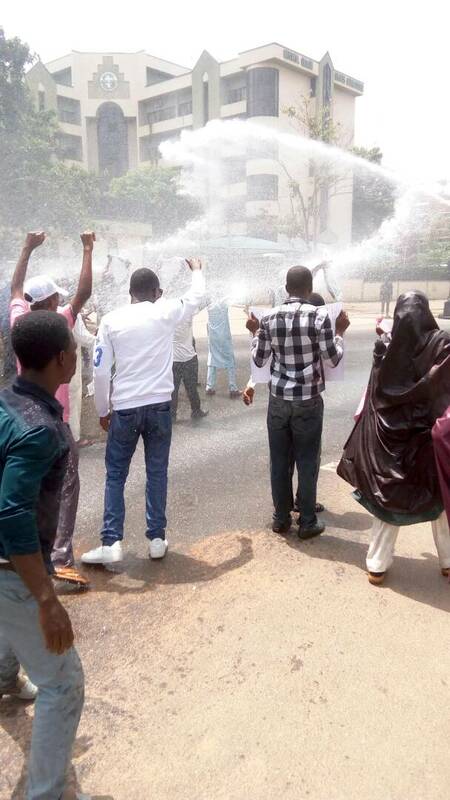 The protest, by the Academic Forum of the Islamic Movement in Nigeria, is one of many such demonstrations in recent weeks to have come under attack from the authorities. 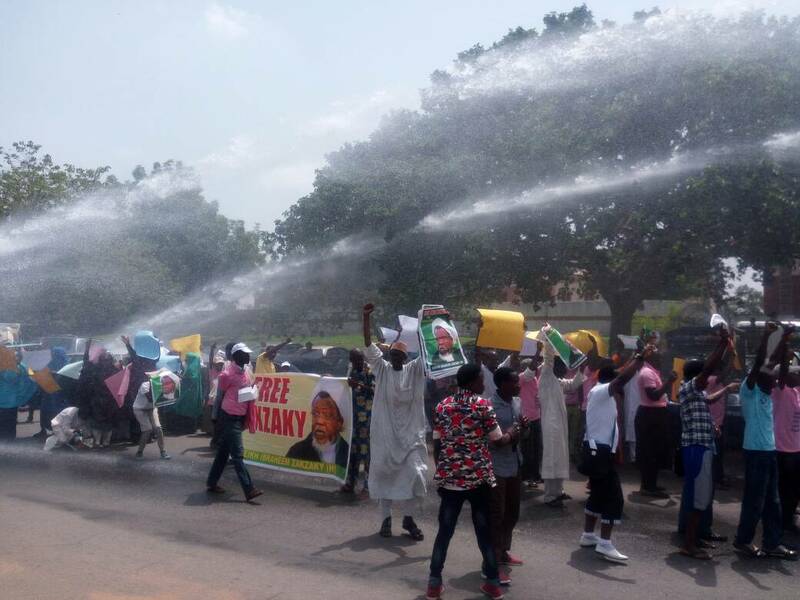 The have been held without charge and mainly incommunicado following their arrest during a savage military assault against the Islamic Movement of Nigeria (IMN) in December 2015. Both were shot during the attack in Zaria in which at least 1000 IMN supporters, including three sons of the couple, were killed and many properties and religious spaces belonging to the IMN and its followers destroyed.